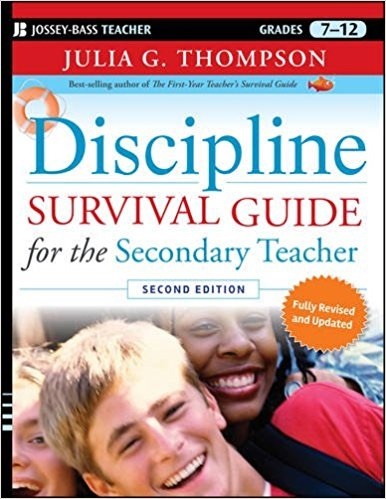 Discipline Survival Guide for the Secondary Teacher, 2nd Ed, (©2011, Jossey-Bass: San Francisco, CA) Julia Thompson takes on what may be the most unpleasant part of the profession and a top reason why teachers leave. She draws on up-to-date research and theory that can help students become more self-disciplined, goal-oriented, and successful learners as teachers enhance leadership skills. She focuses on student motivation, classroom management, relationships, instructional techniques, safety, and high expectations. This 350-page effort is easy to read and can be used as a desktop reference. My summary contains key ideas, but there is a lot more I left out. Every student teacher, beginning teacher, and veteran teacher with discipline problems should have this at their side. Lots of advice for parents too. As a former secondary teacher and elementary principal, I can assure you most of this applies to students of all ages. It is important to take responsibility for what happens in class and to not dwell on who to blame for bad behavior. Outdated practices won’t work with modern students. Class activities should allow students to be active and involved, and let students help each other. Vary the action during a class. Ideally, you will challenge students with things they can attain. Work with students to set goals, watch for signs of trouble before it starts, and work with parents. Use questionnaires to gather interests and opinions and bring in popular culture and real-world connections when possible. Don’t hesitate to allow students to discuss their concerns and adjust your attitude to see them as joyful and vigorous rather than annoying. Be positive rather than cranky and critical. Overreacting only makes things worse. Be respectful rather than confrontational. Be sure to listen. Avoid sarcasm and present yourself as a confident leader. Give positive attention before students seek negative attention. A positive caring attitude is essential. You need to take a broad view and use a variety of methods as the job of discipline is very complex. Do what you can to make the room inviting and use the walls for student work. Work hard on getting to know each student and let them know what you expect. Prepare innovative lessons and have everything ready. Lessons should allow students to be active and usually talk more than the teacher. Focus students on being responsible for their own learning and avoid threats. A class should be a functioning community. You must manage your own stress. If students are agitated take a moment to think and stay cool. Thompson includes a list of common mistakes and ways to avoid them, a teacher self-assessment, a worksheet to develop your plan, and a section on how to put your expectations to work. 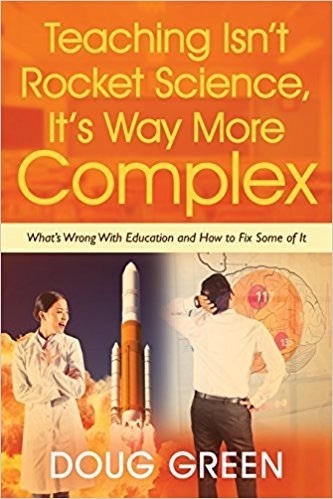 This entry was posted on Thursday, August 25th, 2011 at 9:13 am	and is filed under Book Summaries, Education Books, Leadership Books. You can follow any responses to this entry through the RSS 2.0 feed. You can leave a response, or trackback from your own site.